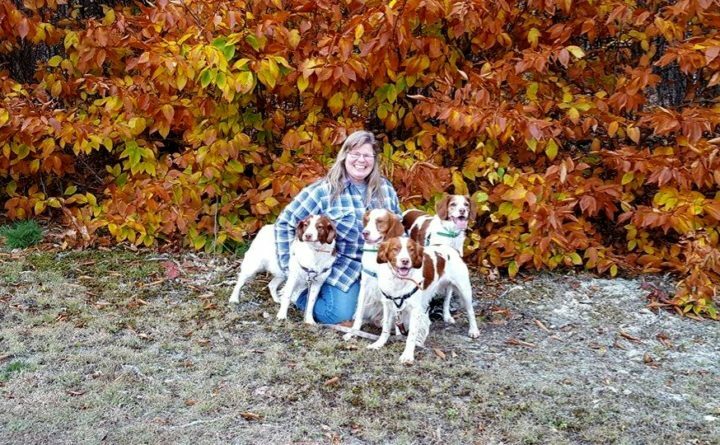 Julie Harris and her dogs Thistle (May 2011-September 2018), Bullet, Sassy and Quincy in front, pause for a quick photo while going for a walk in October 2017. Many people own only one dog at a time, but bird dog owners tend to live in multiple-dog households. There’s a good reason for that. It’s not uncommon to have one dog near retirement from hunting, a dependable hunting dog, and another one just becoming reliable in those endeavors. And often a puppy. That way you always have a reliable hunting dog to use during bird hunting season, which in Maine is from Oct. 1 until Dec. 31. I’ve owned as many as four Brittany dogs at once, but my population has swelled beyond that on occasion. It’s easy to keep track of the dynamics between just two dogs, but add a third or a fourth or more, and it’s a whole different situation. More than two dogs is not a multiple-dog household. It’s a pack, and I’m the leader. Body language can be very tricky. What may look like just playing can actually be the beginning of a canine “discussion” about who is in charge. I am especially mindful of how my unneutered male Brittany dogs interact with each other. They are both rather passive guys, but they are father and son, so there is the older dog-younger dog-in-his-prime dynamic to monitor. Packs have a hierarchy, and a pack whose members understand their positions is well-balanced and happy, and can easily absorb other dogs temporarily. In my little pack, Sassy has always been queen among the dogs. Doesn’t matter what other dogs come in, even briefly, she wears the crown. I have seen Sassy only once agree to disagree with a dog — another female — that visited our house and would not acquiesce to Sassy’s royal position in the pack. She has never given in, even at 12 years old. My other female Brittany dog Thistle (2011-2018) kept testing Sassy’s mettle, but my older girl always prevailed in this battle of wills waged through body language. My male dogs Bullet and Quincy are happy to let Sassy be in charge. I consider the boys to be middle-of-the-pack types. I, of course, must be and am the sovereign ruler of the pack and have learned to use my powers to keep some semblance of order. If I don’t take ownership of the leader role, I know Sassy will. Believe me, that would not be a good thing. She has some pretty strong ideas that do not jibe well with mine. In Sassy’s world, human rules of conduct, possession and timing are stupid. There are different tools I use to maintain order in my pack. 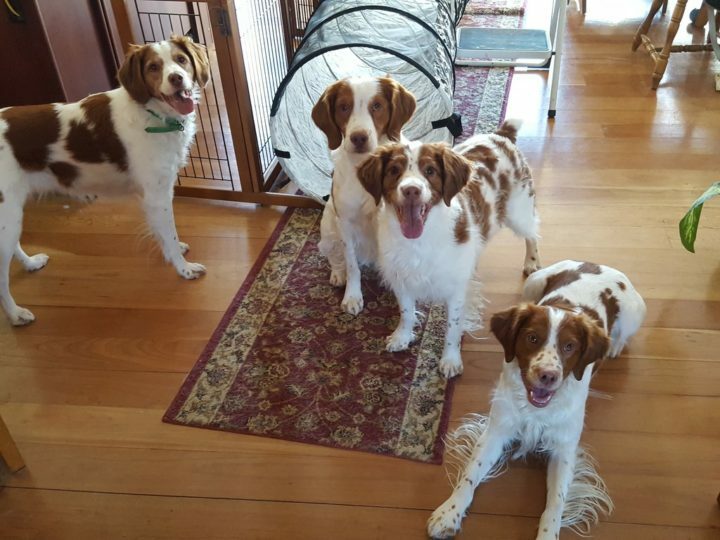 Julie Harris' Brittany dogs wait in age order for a treat in 2017. They are (left) Sassy, Bullet, Thistle (May 2011-September 2018), and Quincy. We were playing indoors using a dog tunnel that collapses for easy storage, and chairs for objects to maneuver around. All of my dogs go through puppy kindergarten when they are about 12 to 16 weeks old where they learn some basic obedience and simple commands, and have the opportunity to socialize with unfamiliar dogs and people. I use dog crates starting with the first night. The puppy sleeps in it for approximately the first year to help establish good house manners, and my old dog sleeps in one to keep her from wandering all night. I also have crates in my vehicle for safe transportation. The dogs use their house crates as safe zones when they are unsure of themselves, and I put them in their crates before allowing visitors entrance to my house to control the interactions between visitors and dogs. I distribute meals, monthly heartworm and flea and tick medicines, and treats in age order so that I don’t miss a dog or give one dog something twice. I say the dog’s name and dispense whatever it is while the other dogs wait their turns. As long as I am fair — yes, I think they can count — in the distribution of food and treats, the dogs mind their manners for the most part. There is no room for growling over food or toys. They all learned early on that I will reclaim the object in question. Part of the pack leader’s job is to maintain peace. When you live with multiple dogs, individual attention is very important. It’s a time to reinforce your bonds with each dog, do some training, or teach tricks or other skills. Or to give individual affection. I use that individual time to reinforce some hunting skills, such as the retrieve. Bird dogs are expected to retrieve the dead birds to the hunter. I use favorite toys to practice that skill. I also check the dogs all over for physical issues that may need attention such as cuts, ticks, long toenails or ear infections. It is helpful to crate the other dogs while working with just one of them. Dogs living in a pack also look out for each other. I hang jingle bells on the back door and taught Sassy how to ring them when she wants to go outside to take care of business. She taught all of the others, when they were puppies, how to use them. Unfortunately, intelligent dogs will not leave it at the skill you wanted to teach. My dogs have tried to train me to come to them by using the jingle bells if they want something other than going outside. I commend them for being smarter than their human pack leader. Julie Murchison Harris is community editor at Bangor Daily News. 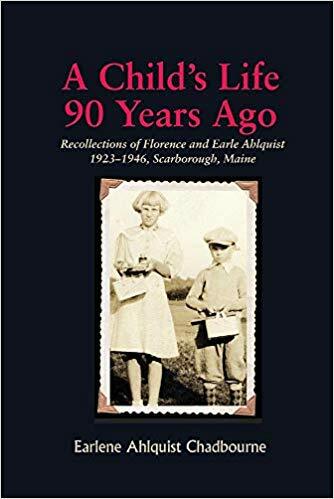 She is widowed and shares her life with three Brittanys — Sassy, age 12; Bullet, 10, and Quincy, 4 — in an old farmhouse in Hermon.